Today in this post I will tell you how you can put your own photo in Barack Obama’s Hope poster. 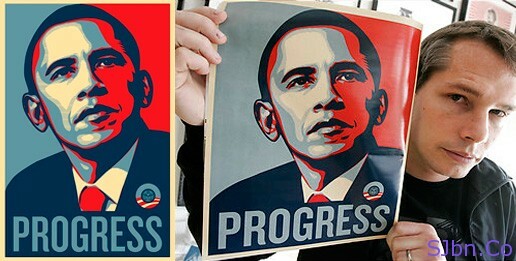 Most of you must know about the Barack Obama’s Hope poster which was created by Shepard Fairey. Which was used on the Times Magazine’s cover page for the person of the year 2008 edition. So if you also want yourself in such a poster, that also without using Photoshop or any other software, just go to Obamicon.me. There you click on create, select the type of poster you want, upload your photo and there you go you got your own poster. You can upload your photo from your computer or you can directly take from webcam. After uploading photo you can customize the color according to you. Note: – After you made your poster you will be asked to register yourself to save image.